A big thank you to the 130 writers — from 26 states and 17 countries — who participated in our BEACH & POOL MEMORIES Poetry & Prose Series, which ran from June 26 – August 8, 2016. Many thanks to the following authors for a tide of summer refreshment and reflection. At first, I was happy it wasn’t packed or hot. my used bookstore find of Frank O’Hara. I lifted up from my book to look around. the land of beer bellies and love handles. that ended when all the right people left. with too much cheap makeup. no one goes in the water. inspired by “Mayakovsky” like I planned. not knowing where to go next. SOURCE: Previously published in After Hours: A Journal of Writing and Art (Summer 2015 Issue No. 31). PHOTO: “North Avenue Beach, Chicago” by Helgidinson, used by permission. ABOUT THE AUTHOR: David Mathews earned his MA in Writing and Publishing at DePaul University. His work has appeared in Eclectica Magazine, After Hours, CHEAP POP, One Sentence Poems, OMNI Reboot, Word Riot, Silver Birch Press, and Midwestern Gothic. His poetry was nominated for The Best of The Net and received awards from the Illinois Women’s Press and the National Federation of Press Women. He is a life-long Chicagoan that currently teaches where he teaches and writes. couldn’t wash that charred sand. How slowly dunes green again. 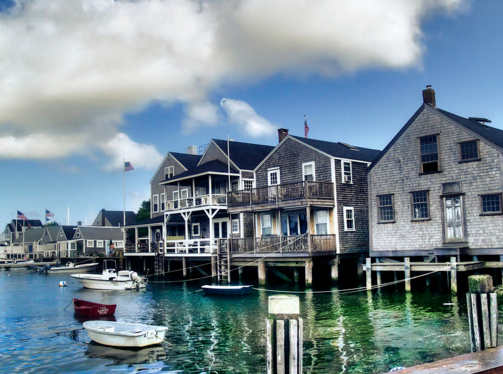 PHOTO: “Nantucket Harbor in Summer” by Tammy Wetzel. Prints available at fineartamerica.com. ABOUT THE AUTHOR: Elisavietta Ritchie’s stories, poems, articles, and photographs are widely published, anthologized, and translated. Recent books: Babushka’s Beads: A Geography of Genes; Guy Wires; Tiger Upstairs on Connecticut Avenue; Feathers, Or, Love on the Wing; Cormorant Beyond the Compost, Arc of the Storm, Elegy for the Other Woman. Flying Time: Stories & Half-Stories; In Haste I Write You This Note: Stories & Half-Stories. IMAGE: “Endless Water Mandala” by Maria Karki. Prints available at fineartamerica.com. NOTE FROM THE AUTHOR: This poem is about a pool in India that my brother and I visited on a trip after college. ABOUT THE AUTHOR: Hannah Star Rogers grew up in rural Alabama and received her Ph.D. at Cornell University. She teaches at Columbia University and the University of Virginia. Her poems and reviews have appeared in The Los Angeles Review of Books, Tupelo Quarterly, The Carolina Quarterly, and The Southern Women’s Review. She has received the Djerassi Artist Residency in Woodside, California, both the Everglades and Acadia National Park Service writing residencies, and the ArtHub International Artist Residency in Kingman, Arizona. PAINTING: “Moonrise” (Tangier) by Sir John Lavery (1920). NOTE FROM THE AUTHOR: My creative process usually consists of me finding a word or line that I like, thinking about it a lot, then writing. I often, but not always, write in a pseudo-Epistolary style, speaking to a particular “you” in my work. 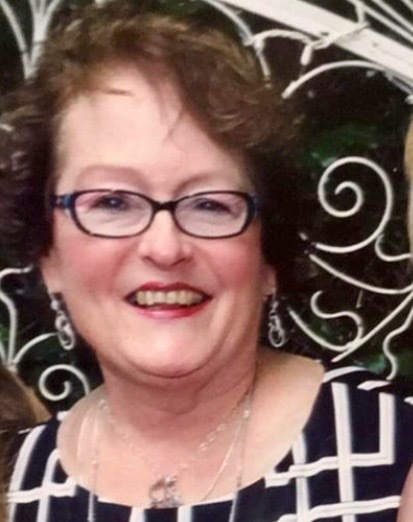 ABOUT THE AUTHOR: Carol H. Jewell is a mother, grandmother, wife, teacher/librarian/poet living in Upstate New York with her spouse and nine cats. She will complete her MFA at The College of Saint Rose in December 2016. She is insatiably curious. Seahorse, I salute and mourn you. stately in death, lost to your salty home. Eel, I fear and admire you. rigid in anger at death. hissing a menace frozen by waves. Crashing surf abandoned you to fatal sand. PHOTO: The author enjoys her second favorite beach occupation—devouring a good book (Panama City Beach, Florida , fall, 2015). NOTE FROM THE AUTHOR: Last year’s beach visit inspired this poem. On the same day, while beach walking, my husband and I discovered in separate locations two victims of the recent red tide and turbulent surf: a large seahorse and an even larger eel. There was a tragic air to both figures. I couldn’t get them out of my head. Later, when a prompt given during a poetry workshop evoked a contrast of these two creatures, I wrote my first version of this poem. Feedback from the instructor and my local critique group helped me identify how I wanted to revise and finalize the piece. I hope the reader can identify with the emotions I experienced as I gazed on each of these unique animals, lost to the wildness of their native environment. ABOUT THE AUTHOR: Born for beach walking, Karen H. Phillips makes an annual pilgrimage to Panama City Beach, Florida, where she collects photos of wildlife, shells, sunsets, the Gulf, and, of course, her husband. Karen’s nonfiction piece, “The Pie Plate,” is published in an anthology, The Keepsake Project. Her poem, “The Truth about Love,” was recently accepted in an upcoming anthology, Amour. When I was in junior high, my stepfather, along with his friend whose nickname was “Cookie” for some reason, dug a hole in our backyard with a borrowed backhoe and installed a large in-ground pool. By the end of that first summer, we could walk a few steps from the screened-in breezeway to the pool’s patio and jump right in. My mother never learned how to swim and was actually a bit afraid of the water but loved to bask in a lounge chair in the hot summer sun, sipping iced tea after iced tea. My stepfather, the pool builder, was a freckled redhead with very fair skin; he avoided the sun. I never saw him actually swim in the pool he built for his acquired family. It was a generous gesture and so characteristic of him. And that backyard addition made for heavenly summers in the 1970s. Cookie’s daughter, Sue, was one of my best friends. We worked together at a Howard Johnson’s restaurant on the Mass Pike during those summers and would joyfully strip off our turquoise-checked uniforms and leap into the refreshing water after work. Often joined by a gaggle of girls, we would take turns rushing down the blue plastic slide and practicing dives off the board at the far end. We stretched out on brightly colored beach towels and slathered on Coppertone tanning lotion. We would snack on Fritos and Cokes and then jump back in to wash off the crumbs. When I was a sophomore, I started dating the high school quarterback. The team would have summer practice sessions during stifling August afternoons. “Have the team come over for a swim after practice,” I told John. They did. Often all of them. A horde of well toned and muscled high school boys would hoot and holler as they cannonballed into the cool blue surface. Heaven for this teenaged girl. PHOTO: A recent photo of the author at the beach, since she no longer owns a backyard pool. ABOUT THE AUTHOR: Cheryl Levine lives and writes just outside of Boston. PHOTO: “A Scene from the Santa Cruz Boardwalk,” photo and treatment by Thomas Park, 2016. NOTE FROM THE AUTHOR: I wrote this poem, riffing on a recent trip with my wife to her favorite place in the world, California. It was my first time since infancy, and the trip made quite an impression. I attempted to capture some of the vibe of the region in this short poem. ABOUT THE AUTHOR: Thomas Park is a musician, painter, video artist, writer, and poet living in South Saint Louis with his wife and two cats. He is a big fan of poet Philip Levine. He would like to take his wife and cats to San Francisco someday to live, if (or perhaps when) he wins the lottery. Find him at mystifiedmusic.com. Author photo by Thomas Park. I grew up solidly middle class. My family had a membership to the Four Seasons Pool Club in Washington Township in Ohio. From Memorial Day until Labor Day we could walk right in and show our card. There were summers of lessons, of pool birthday parties, of hanging out with friends. The pool also had non-swimming activities like a night where they showed old movies. I still remember how big the June bugs looked amplified as they passed between the lens of the projector and the screen, and how the dust motes caught in that bright shaft of light danced and twinkled like little stars. But the snack bar is what I remember best. The different names of the novelty ice creams conjured up whole stories inside my head. There were the Rocket Pops in red, white, and blue and the orange push-ups, glorified sherbet with a creamy goodness, also called Dreamsicles. There was the Drumstick and I think something called a Fred Flintstone bar. The ice cream sandwich was 25¢ and the cookie part stuck to my fingers like chocolate fur. A little pricier was the Klondike bar or if on a stick I liked the kind studded with crunchy chopped peanuts. Freezie Pops were perhaps a nickel and the fudge bar was pretty cheap too—maybe a dime more. Of course there were also French fries, Hamburgers, and hotdogs. I’m sure my mother just tossed my sister and I change from the bottom of her handbag before we went out the door to ride our bikes over to the swim club. I’d stay all day, and each time the lifeguard blew the whistle for break time, I’d line up at the concession stand, reading the menu, and dreaming of what the coins burning in my hand might buy. PHOTO: The author as a teen at the Four Seasons Pool Club in Washington Township, Ohio. 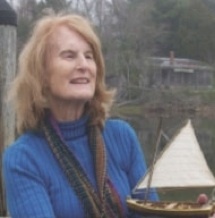 ABOUT THE AUTHOR: Jane Hertenstein is the author of numerous short stories and flash. Her work has been included in Hunger Mountain, Word Riot, Flashquake, and Rosebud as well as earning an Honorable Mention in Glimmer Train. Her literary interests are eclectic, evident in the titles she has published: Beyond Paradise (YA), Orphan Girl (nonfiction), Home Is Where We Live (children’s picture book), and a recent ebook Freeze Frame: How to Write Flash Memoir. Jane lives in Chicago, where she blogs at Memoirous. NOTE FROM THE AUTHOR: In this poem my process was simply to let myself remember and then write down the still-vivid details. ABOUT THE AUTHOR: Penelope Scambly Schott’s most recent collection is How I Became an Historian. She lives in Portland and Dufur, Oregon, but the jellyfish sting happened in Puerto Rico when she was about 11. AUTHOR PHOTO: Above the Columbia River in Mosier, Oregon (May 21, 2016).